The American and Chinese government, who cautiously consult each other on North Korea are waiting to see Kim Jong-un, the young leader of North Korea will follow his father, Kim Jong-il and carry out North Korea’s impending third nuclear test. 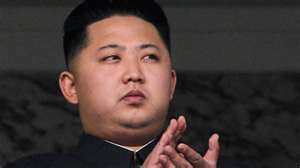 Previous tests were done in 2006 and 2009, and recently, the North Korean news agency declared that there were no plans for a third test for the time being but analysts consider such statement that the young leader was waiting for the right moment that would suit him. As Kim Jong-un consolidates his grip of power, China is showing signs of increasing frustration at the aggressive behavior of its long time ally. Since succeeding his father, six months ago, Kim has immediately alienated the Obama administration and put North Korea on track to develop a nuclear warhead that could hit the United States within a few years, Western and Chinese analysts say. Most surprising, though, is how Kim disregard the will of China, whose economic favor keeps the North Korea’s government afloat. Shortly, after Kim took over, China gave North Korea half million tons of food and a quarter million tons of crude oil to save North Korea’s economy from collapse despite Kim’s bullheadedness. Simultaneous to this, Chinese vice minister of foreign affairs visited Kim in Pyongyang and sternly warned him not to proceed with the ballistic missile test, but the new leader went ahead anyway. More of Kim’s erratic behavior was unraveled in late February, when his government signed an agreement with the United States to freeze its nuclear weapons and ballistic missile programs, giving hope that he would be more open to change than his father. But six weeks later, Kim without informing China, ordered the missile test that Washington viewed as a test run for launching a nuclear weapon. Although the April missile test was a failure, it does not stop Kim to formalize North Korea as nuclear armed state in their constitution. 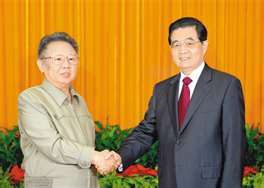 Last May, more than two dozen Chinese fisherman were held captive for two weeks by North Korea . After their release, one of the fisherman described their ordeal of how they were treated badly by the North Korean authorities where they were made to strip to their underpants. Such behavior ignites protests and infuriated the citizenry in China as growing numbers of Chinese were criticizing the foreign affairs ministry for what was seen by many as an unacceptably tepid response to dealing with North Korea, which is reliant on Beijing for military support and economic aid. Nonetheless, senior Chinese officials dare not use China’s economic leverage against North Korea, that is because a collapse of North Korean government could result in a united Korea allied with the United States, according to Shi Yinhong, a professor of international relations at Renmin University in Beijing. As China becomes more concerned about what it sees as the United States’ stepped up containment efforts against China, the less inclined it is to help the United States on North Korea, said Yun San, a China analyst in Washington. China will not help the US and South Korea solve the North Korean problem as there are historical reasons for China’s protectiveness towards North Korea, said an American diplomat and expert on China.